Nike Basketball continues to add to their LeBron Solider lineup with an all-new colorway of the LeBron Soldier 12. This iteration comes dressed in a clean Black, Grey, and White color scheme. It features a Black knitted upper with Grey criss-cross straps for lockdown along with Black nubuck covering the toe area. 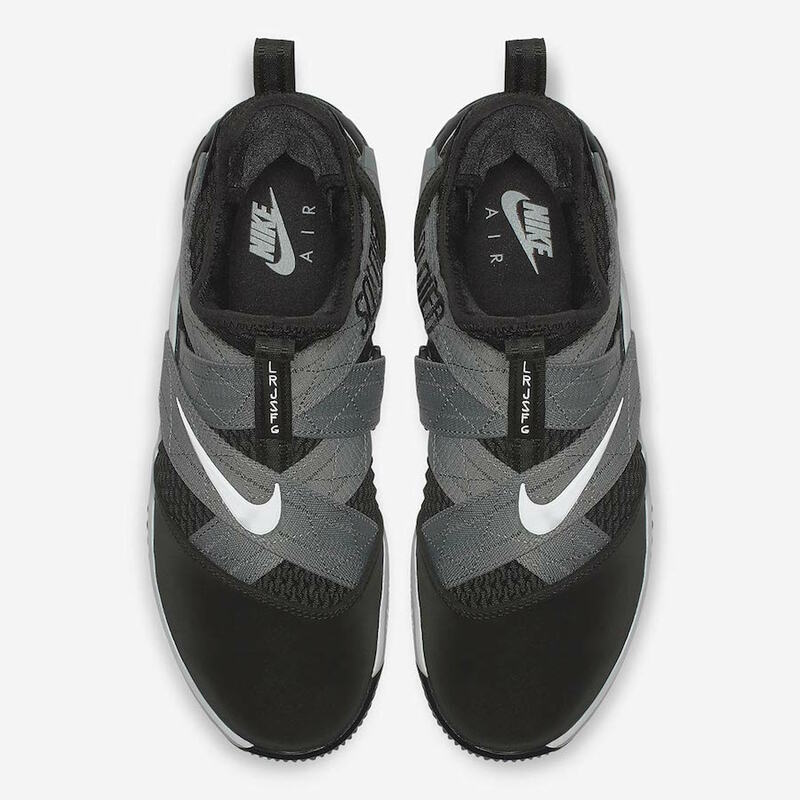 A White Swoosh logo on the straps, matching White midsole atop a Black outsole with Zoom Air unit completes the design. You can now find this new LeBron Solider 12 SFG available at select Nike Basketball retailers such as Finish Line. The retail price tag is set at $140 USD.